Just got some new media for showing with you guys 😉 Yes, another “LEAK”, behold: The Force Wing Costume! 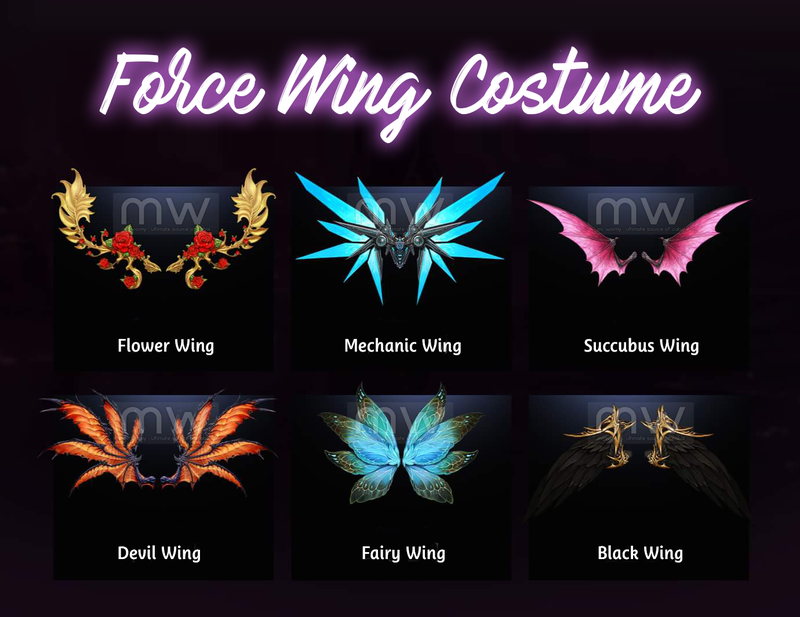 All of these Force Wing Costume will cover the original default white Force Wing that you obtain from the Holy Water item. Suitable for Cabal Spacesuit, Electronica or any fictional suits. The wings glow in the dark and make you like the lead of adventurers. I would definitely get this costume and take some screenshot in Maquinas Outpost dungeon to make these monster feel jealous with my epic wing! Oh, yeah! The most epic fancy Wing is here. Just imagine… Wearing this and try to make some fancy skills in Forbidden Island. OMG, can’t wait any more!!! CABAL Mobile: What, Where, Who, When, Why and How?